If you chose to be an English language student you should be prepared to do a lot of writing assignments. And of course, take the English language exam. At the exam you will be asked to write 3 types of essays, which include rhetorical analysis essay. What is the idea of this type of essay? In this essay you need to look deeper into details, express your opinion and present argumentative proofs. 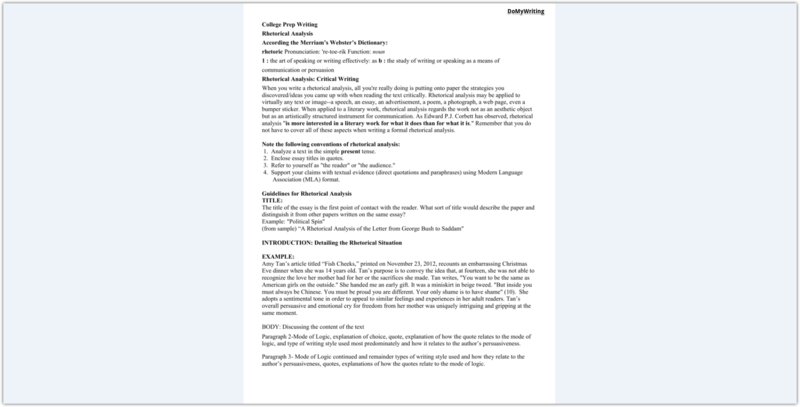 Rhetorical essay means you have to write about writing, teach a teacher or dream about dreams. What a student actually has to do is to analyze the chosen text, and group the words or phrases in it used by its author to transfer the idea to the reader. Among best sources for rhetorical analysis essay are public speeches read or pronounced by authorities. Which issue is described by the author of the original text? Who is the author of the text under analysis? What idea is presented by the author in the text under analysis? How is the main idea presented in the text under analyses? Did the author of the text manage to render his main idea/objective? Which methods were used by the author to communicate his idea/objective? Once you have the idea of this type of essay and what it should include, you have to proceed to the writing process. It consists of several stages. First of all you need to structure the text you are going to analyze. Divide it into several paragraphs and conduct a thorough analysis of each of them. This is where you should describe your analysis. Keep in mind not to summarize but evaluate the methods applied by the author of the text. Explain your opinion on writer’s choice of certain methods to render his objectives to the target audience. Before proceeding to writing your rhetorical essay make sure you familiarized yourself with several wining examples. You may even get yourself a copy. It will be very useful because all college and academic essays have pretty much the same structure. There are different strategies how to catch the attention of your reader from the very first sentence. One of them is presenting a catching piece of information. Remember that for each occasion it should be appropriate. For example, if you analyze a serious health condition telling a joke will be completely inappropriate. This is the part of the essay what it is all about. This is where you have to describe your attitude to the text under analysis, justify your opinion. It is not necessary that you agree with the author, you may also disagree. In any case you have to give proofs to your point of view. Let’s say you chose to analyze a novel. Here you have to explain how you see the novel. In this part you need to apply all the methods to persuade your target audience your opinion is right. Keep in mind that it is better to keep your statement impersonal and objective to persuade your reader. In addition to presenting your personal view of the topic, you need to give academic research. This is supposed to find ways of solving the problem of the text under analyses. Try to make it very simple. It won’t be interesting to read complicated text composed in complex scientific language. Right after presenting your opinion, go to analysis. In this part you can use any method that will help you justify your personal opinion. While writing your rhetorical essay you have to provide proofs in order to be substantive. Since your goal is to render your point to your audience and persuade them you are right, you have to choose the strategy how you will do it. Appropriate strategy is something that will help you achieve your goals. What are ethos, pathos and logos? For those who hear these words for the first time they may sound some magical words in Greek. And they will be partially right. These are ancient Greek terms first introduced by the famous Greek philosopher Aristotle. He first mentioned and explained them in his book called Rhetoric. And since that time these three aspects have been essential part of every essay. Ethos is something that proves your target audience why they should believe you, why your opinion on the text under analyses is correct. Pathos is about emotional effect your essay has on your reader. When writing your essay you should use strategies to cause emotions from your readers, no matter positive or negative. The idea is to make people think and talk about your words. Logos is what helps you make your readers think logically. Here you may use different proofs, facts and arguments that will form a logic chain in people’s minds. 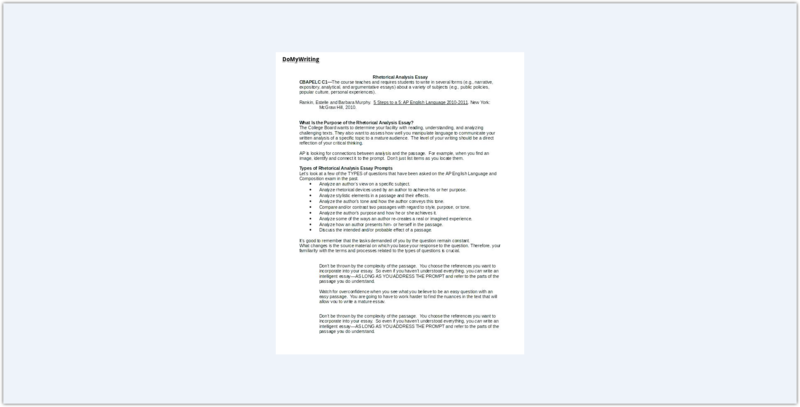 After reading the above tips you may think that rhetorical analysis essay is not that easy to write, especially if you don’t have experience. And you will probably be right. It demands lots of time and efforts. Not every student may boast of excellent analytical and writing skills. In this case it is better to ask for professional help. We, at domywriting.com, are the team of experts in different spheres. We are familiar with the requirements to school and college essays. We are proficient in the English language and we have good writing skills. This is just short list of qualities that help us stand out our competitors. We possess every secret of writing any type of academic essay that are 100% winning. We have gained an excellent reputation among our customers and we do our best to keep the top level of the service we provide. Written assignments play an important role in the course of study of students. As it was mentioned above, it is a structured text that should be written thoughtfully and carefully. Internet has a lot of templates of plans for rhetorical essays. If you draw a plan before you start writing, the writing process will be much easier, you will definitely know where and what you will write. Analyze the source text. Read your text carefully, make notes if necessary. At this stage you need to analyze different aspects of the text you are working on: defines the author’s style, methods used to render the main idea, audience the text was written for, and its ethos/pathos/logos. Compose introduction. Introduction usually takes one paragraph consisting of 8-10 medium sentences. Introduction is important in respect of the further mood of the essay. In this part you introduce the idea you will be covering in the rest of your essay and define the goal you are going to achieve during the analysis. 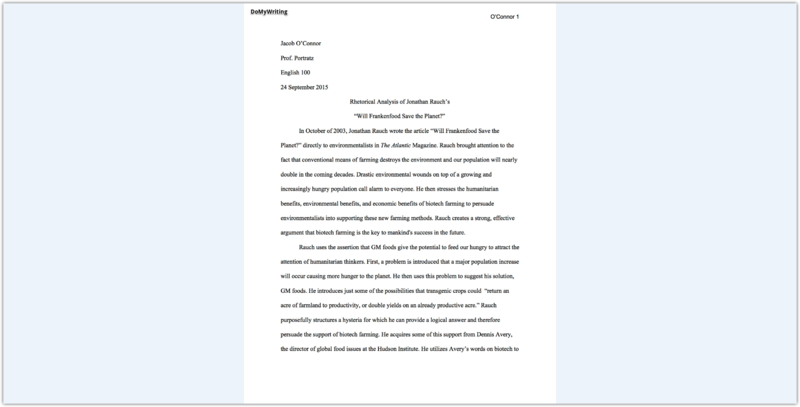 In this first paragraph you have to present your thesis statement. Where do you take it? You should select one main idea of your essay and narrow it down. Then form a clear, brief and precise statement that will hit your reader. It is useful to indicate the techniques you will use to prove your point. Using original argument is a great idea. 3. Write body paragraphs. They are usually 3 main paragraphs in the essay. They are the core part of the entire work because this is where you prove your point of view. 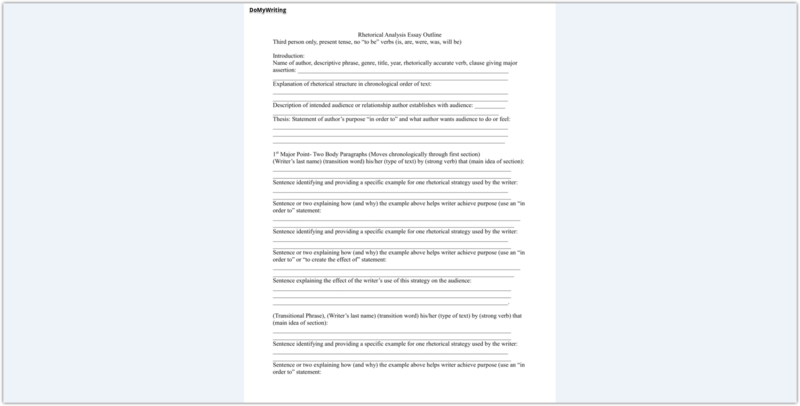 If you work hard on our rhetorical analysis essay, you will look through a lot of material. You will definitely be able to find several arguments in the sources. Define three main arguments to use them in your paper and explain and justify each of them in a separate paragraph. Make sure you add only credible information from trustworthy sources. You do not have to agree with the author of the analyzed text on everything. It is ok if you have an opposite point of view. But you have to prove it with persuasive evidences. Despite it is a school/academic paper, it does not mean its language and style should be difficult. Try to make it as simple as possible to make it understandable for every person. 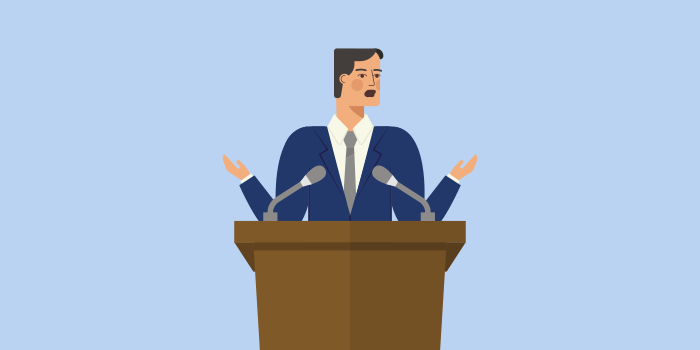 Remember that your goal is to present your point and justify it with reliable arguments. 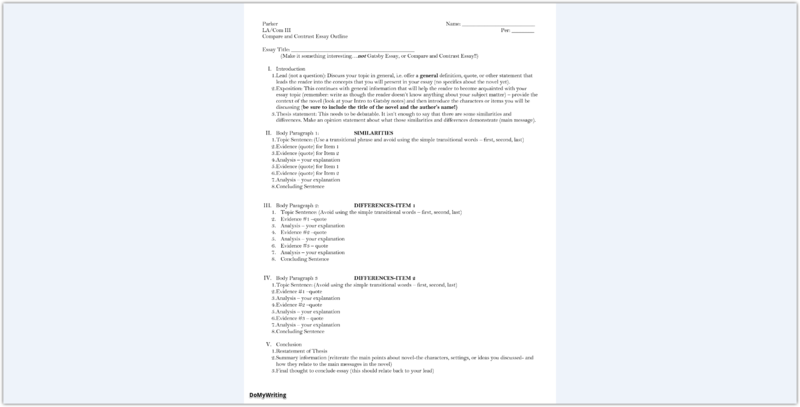 Conclusion is the last part of the essay where you summarize everything you have said before. In this part you have to repeat your arguments and reword your paper statement. This part should be very friend and precise. If you believe that there is still much to analyze in the source text you should mention it in your conclusion. Call to action for your readers is the best conclusion of an essay. This could be a question, quote, etc. in one word, this is the part where you encourage your audience to express their thoughts on your paper. Keep in mind that the goal of the essay is not to proof an opposite point of view but to analyze. Conclusion is only for summarizing of the said above, and not for introduction of new info. When you finish your draft essay you should proofread it. There are online tools using which you can do it. You may also ask one of your peers to read your essay and give feedback. Another good idea is to consult a professional who will help you with grammatical mistakes or errors of style. An expert will help you improve your essay and perform excellent. Students have a huge academic load and not all of them are able to cope with all the assignments timely. Not all students have excellent writing skills, or may be learning English as their second language. If this is your case, your best option is to have an expert write your rhetorical analysis essay. We guarantee the quality of our papers because we know everything a professional writer should know about academic written tasks. Years of experience, good reputation, constant practice and improvement helped us become a trustworthy writing online service. 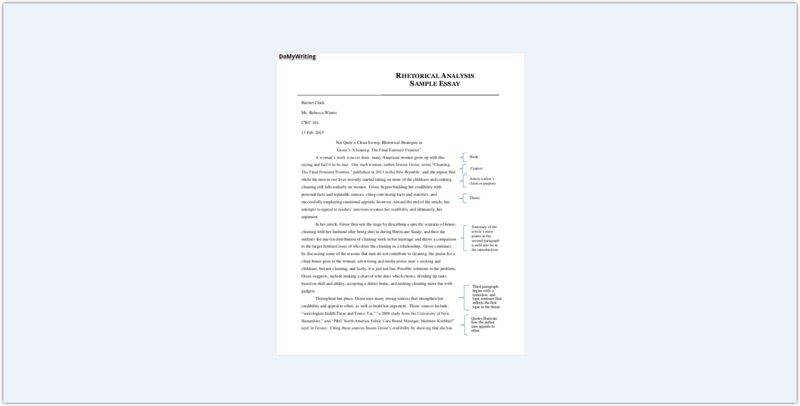 We provide customer with winning customized rhetorical analysis essay. Feel free to contact us anytime comfortable for you!